343 Industries' first take on the Halo franchise may see the Master Chief following some very familiar steps. Bungie may have bid adieu to the Halo series with the excellent Reach, but Microsoft isn't ready to let go of its green-armored cash cow anytime soon. The series is now in the hands of Microsoft's internal Halo department 343 Industries, but rumor has it that the studio isn't ready to fly on its own quite yet. 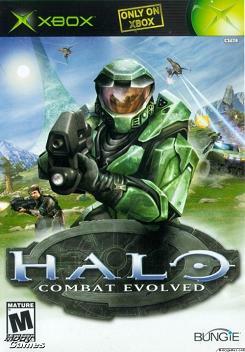 According to "industry chatter" reported in the Games Master Magazine, reports CVG, 343's first project is a current-gen remake of the original Halo: Combat Evolved. The update of the game that started it all is rumored to run on the Reach engine, and would be a way for 343 to dip its feet in the Halo pool before taking a stab at a true Halo 3 sequel. If true, it's easy to imagine that a game like this would be perfectly suited for release next November - the series' tenth anniversary. Assuming that this is true, it's an interesting idea. On the one hand, a ten-year-old game does seem a bit too recent to remake - especially given how fondly the original is remembered by millions of gamers. Any missteps here that interfere with gamers' nostalgia could sour people on 343's Halo games from here on out. On the other hand, for a studio that has effectively been handed a blockbuster ball and told to run with it, starting with familiar ground might not be a bad idea. Most of the design work has already been done, and it would let 343 focus on the execution thereof. It would also let Microsoft step more in line with the lucrative annual release schedule of Call of Duty, which it openly envies. When asked, Microsoft's UK Xbox mastermind Stephen McGill seemed positive on the idea of a Halo remake: "I imagine it's a good idea ... I think some people want to go back to older games and see them revisited and I think a lot of developers want to see that too." I'd be down with a remake as long as they didn't touch "Silent Cartographer," and as long as they fixed "The Library." Sweet baby Jesus, did I ever hate that level.